Announced in July 2018 following a bidding war with Comcast, the acquisition of 21st Century Fox completed early on Wednesday morning. The purchase provides a considerable number of assets to Disney from the Rupert Murdoch-owned News Corp, largely consisting of entertainment-related items instead of news assets like Fox News and Fox Sports. The acquisition covers Fox's film production businesses, creative television units, FX cable networks, international networks, and other interests. The news and sports elements of 21st Century Fox have been spun off to a separate entity called Fox Corporation. "This is an extraordinary and historic moment for us—one that will create significant long-term value for our company and our shareholders," said Robert A. Iger, Chairman and Chief Executive Officer, The Walt Disney Company. "Combining Disney's and 21st Century Fox's wealth of creative content and proven talent creates the preeminent global entertainment company, well positioned to lead in an incredibly dynamic and transformative era." Disney claims the acquisition will enable it to provide "more appealing high-quality content and entertainment options to meet growing consumer demand," as well as to expand its direct-to-consumer services. Among these are ESPN+ and the upcoming Disney+ streaming video service that will launch in late 2019. Alongside ESPN+ and Disney+, Disney also increases its holdings in existing streaming service Hulu, combining Fox's ownership stake with its own to give it a sizable level of control over the firm. The creation of such a large creative-based company has the potential to put a strain on the rest of the industry. Disney has already ended its distribution agreement with Netflix with a view to making its own streaming services the home for Disney-branded content, forcing Netflix into creating more original content to match the shortfall. Apple's own anticipated entry into the streaming video business is also likely to be affected by the completed acquisition. While Apple has invested significantly into original content production, acquiring more content may be problematic if Disney extends its exclusivity policy to other content producers it operates. 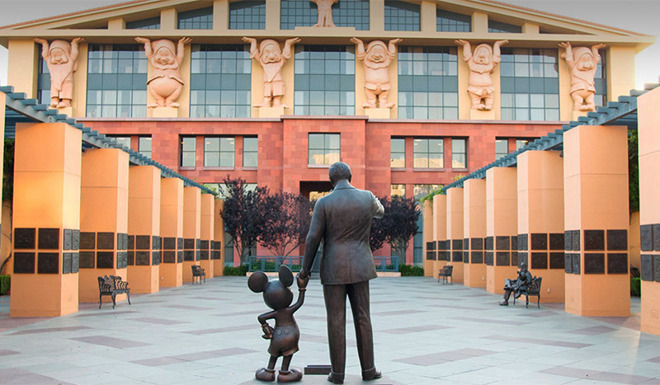 The sheer size of both the firm and its content library will also give Disney more leverage when in negotiations with Apple concerning its online stores, which could allow it to gain more favorable terms for movies and TV shows offered to consumers. The far-reaching effects of the deal enter other areas, with industry advisors suggesting to Vanity Fair Disney will move from having a 26-percent share of the theatrical box office to between 35 and 40 percent of the market. For theaters, this will give more sway, and allow it to dictate terms to exhibitors, or else theater chains could find themselves unable to show popular blockbusters. While Apple and Disney has had a close corporate relationship for many years, the deal could eventually see Disney CEO Bob Iger be asked to leave the Apple board if Disney uses its new-found strength to influence the iPhone maker unduly. There is already the suggestion a request to exit may be made if there are concerns Iger could learn about Apple's video strategy, though that has yet to take place.